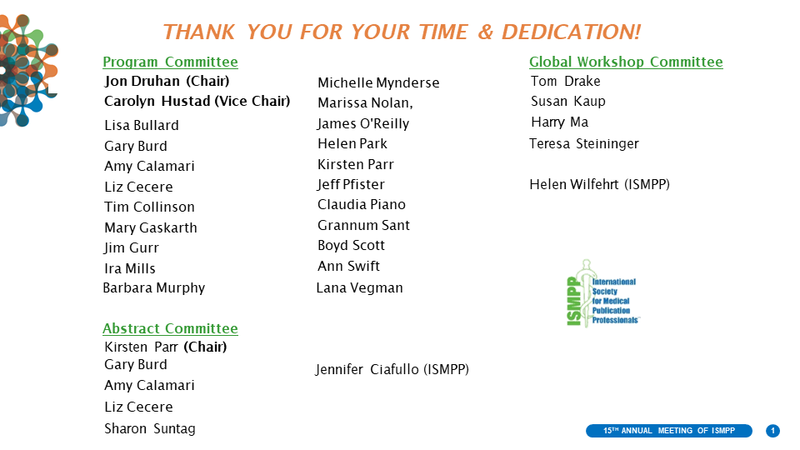 With the close of our milestone 15th Annual Meeting of ISMPP, we want to thank the faculty and more than 600 attendees for their participation! 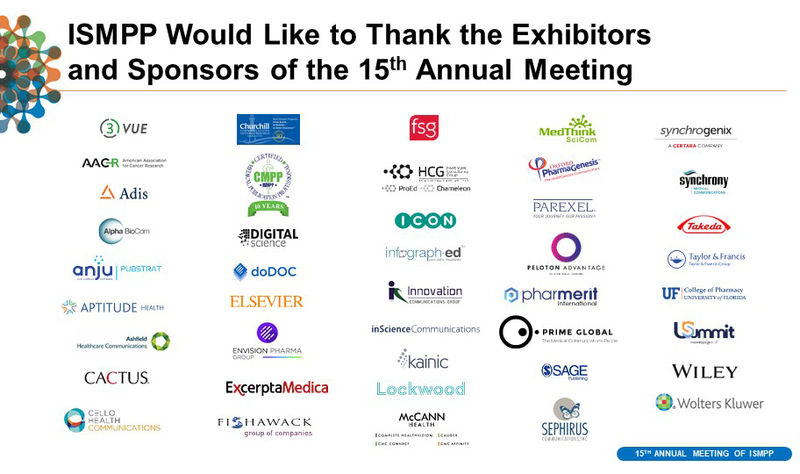 As well as express our appreciation to our exhibitors and sponsors, plus our media partners - The Publication Plan and PharmaVoice - for their support of the 15th Annual Meeting! We also send a very special thank you to our Annual Meeting Program Committee, Global Workshop Committee, and Abstract Committee! Our success could not have been realized without your dedicated efforts and tireless contributions. Look for Annual Meeting session slides in the ISMPP Archives over the coming weeks! An ISMPP U featuring highlights of the 15th Annual Meeting will be held in May. Date to be announced soon!